The grain of the wood is often what makes it so attractive to the human eye. We enjoy the natural color and flow. Here I am going to show how to push the grain of wood just a little further than raw and natural by adding colors to the grain. This is not actually painting but rather staining the wood so that color is added for additional enhancement. This technique can be used when crafting on many different projects. It is easy to learn and can add another visual dimension. 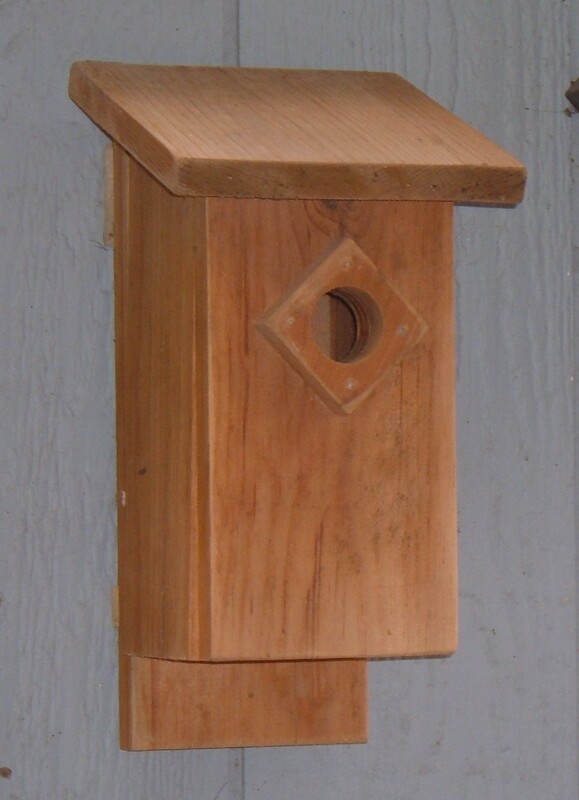 It holds the natural beauty of the wood grain, yet adds flair to the finished product. 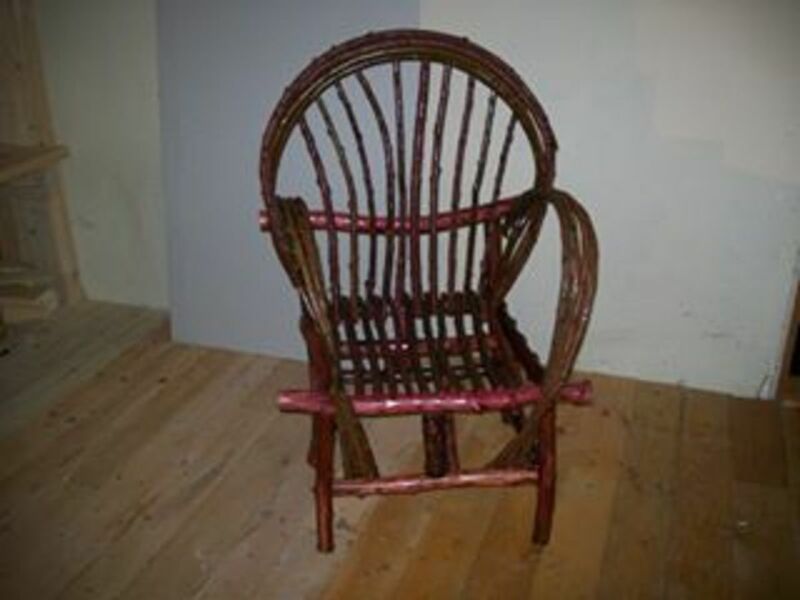 The technique can be used in very small amounts when crafting, or it can be used to finish large pieces of wood. Coloring wood grain can be done for craft projects but it can also be done on wood furniture and even used to color the grain on walls and floors made of wood. That being stated let's take a closer look at what is involved to achieve interesting colored grain for all sorts of creative wood projects. 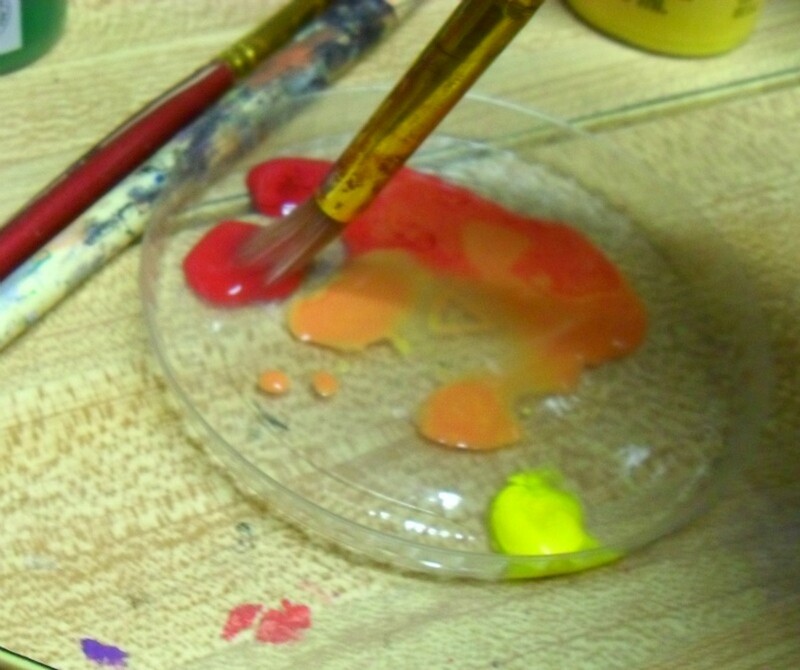 The Basic tools and materials for most color staining projects are going to be the same. That does not mean that other supplies are not needed for specific projects. 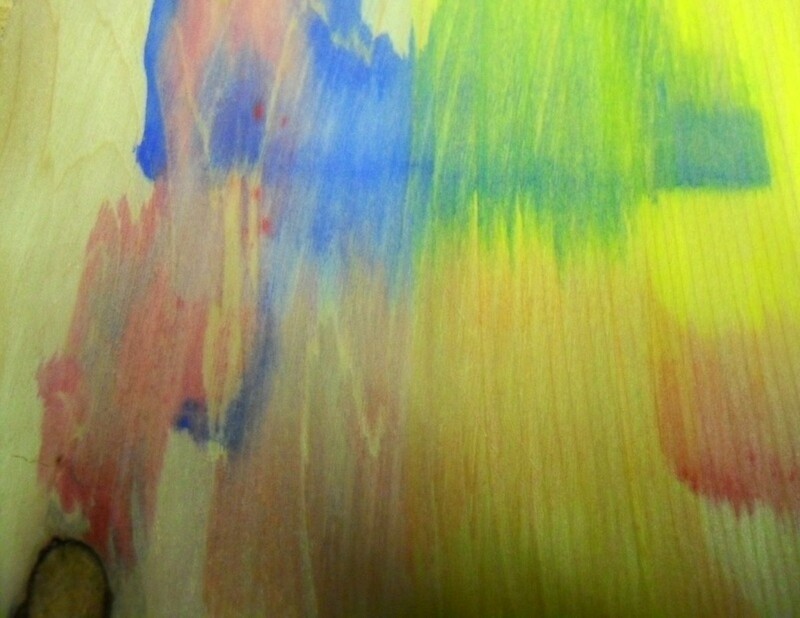 This is a basic starter guide about color staining wood. Keep in mind that this is meant to be adapted to the project you are working on. Some additional things might be needed for your exact situation. 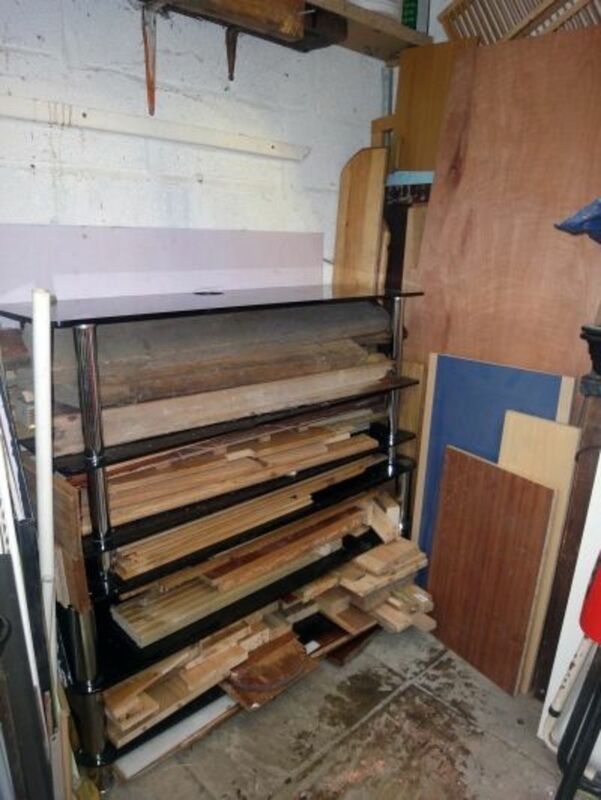 First I would like to suggest that if you have never painted on raw wood before it is very wise to do a bit of practice staining before you jump in and start on a finished work that is ready to stain. 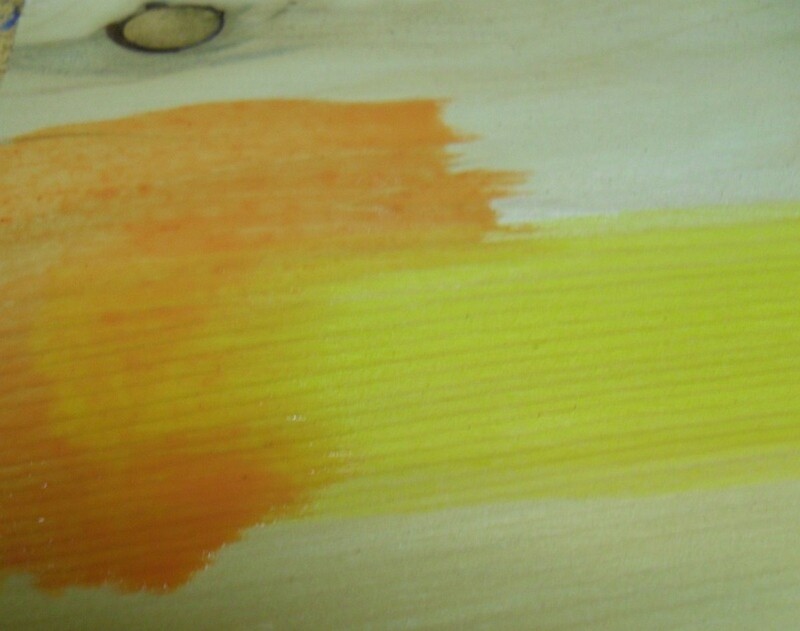 There are a few things to learn about how the color stain will act as it is applied to the wood. The most important thing to note is how the raw wood will absorb the color stain. 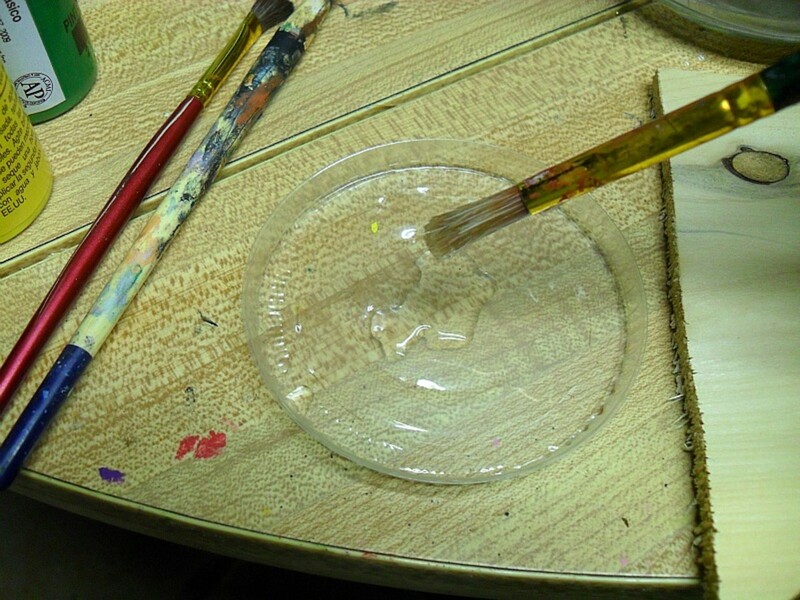 The wood will act as a wick and draw the stain into the porous wood surface. This can create a problem if the color bleeds out too much and the color runs to an area you DO NOT want to be colored or not the color you are applying at the time. Practice! Get to know the feel of how the wood will react to the color stain. Another thing I want to mention is that if a mistake occurs and the color does wind up in a place where you would rather not have it, this can be remedied to some extent by a fast reaction on your part. Using a blotting cloth the color can be removed to a certain extent. This can also be done with a dry paint brush in very small areas. Dabbing the unwanted color while it is still wet will help to clean the unwanted color stain off. More color can be removed by adding additional water to the mistaken area and dabbing it more after blotting the majority of the stain. The idea is to rinse and dry, rinse and dry. It would be a good idea to practice removing color stain as well as applying it. Better to be prepared in advance. 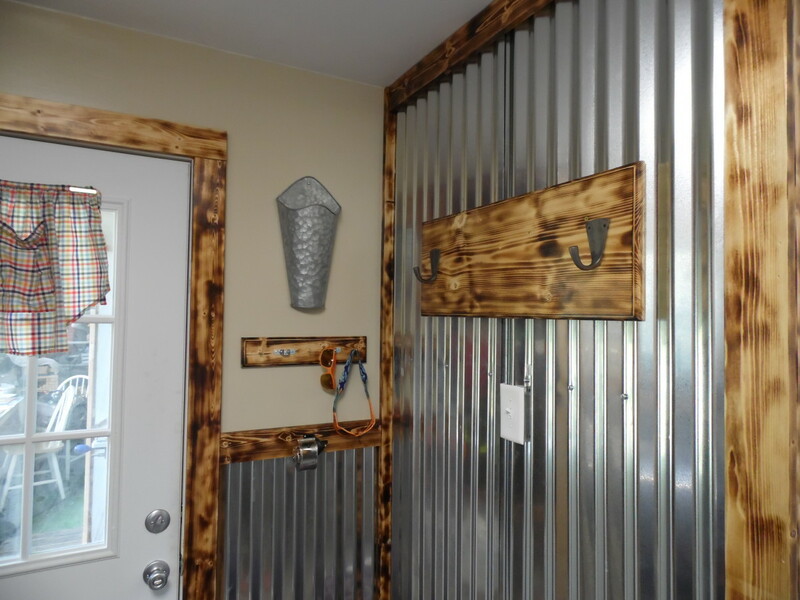 The example here and photos are based on working on a craft project that will not require large volumes of stain. Here the suggested methods are for smaller, brush load amounts of stain. The term "brush load" referring to the amount of color stain that is held in the wet brush you are using. For large projects like a piece of furniture, a wall or floor it would require mixing very large batches of color stain. This can be done, but I do suggest much practice before going that route. Add enough water to more than cover the area you wish to stain. I am showing examples, so I started with a couple of brush loads of water. Off to the side of the water, I dropped a small dab of acrylic paint. Second, mix just enough of the paint to color the water. See the photos for better understanding. Do not add too much. It is better to add more water and less paint. If the finished color does not come out as dark as you would like you can always add a second coat to darken the color when the first coat dries. 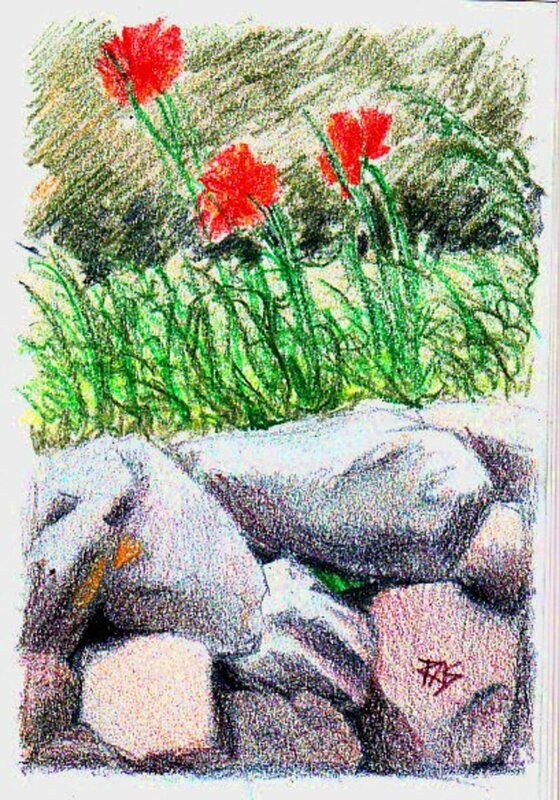 Remember if the color is too dark or goes where you do not want it to, use your blotter as I suggested above. 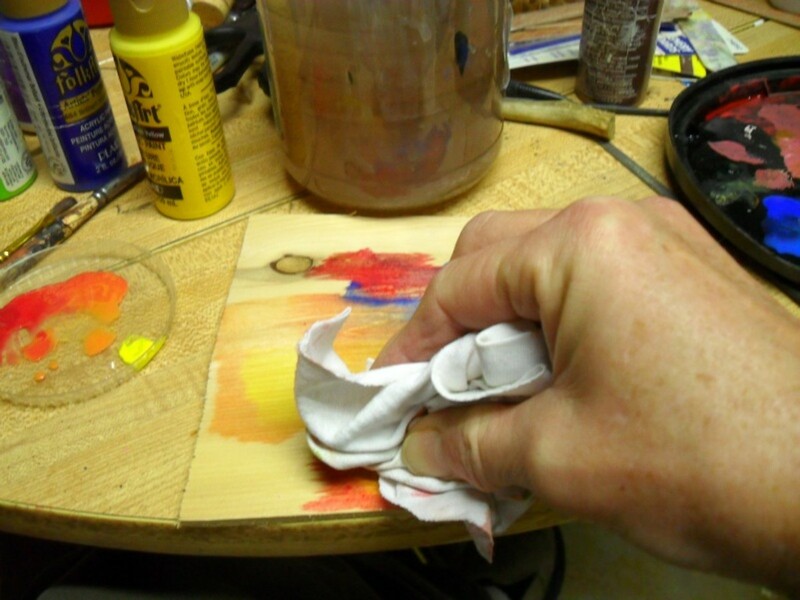 The idea is to stain the wood with color but allows the grain of the wood to show through the stain. 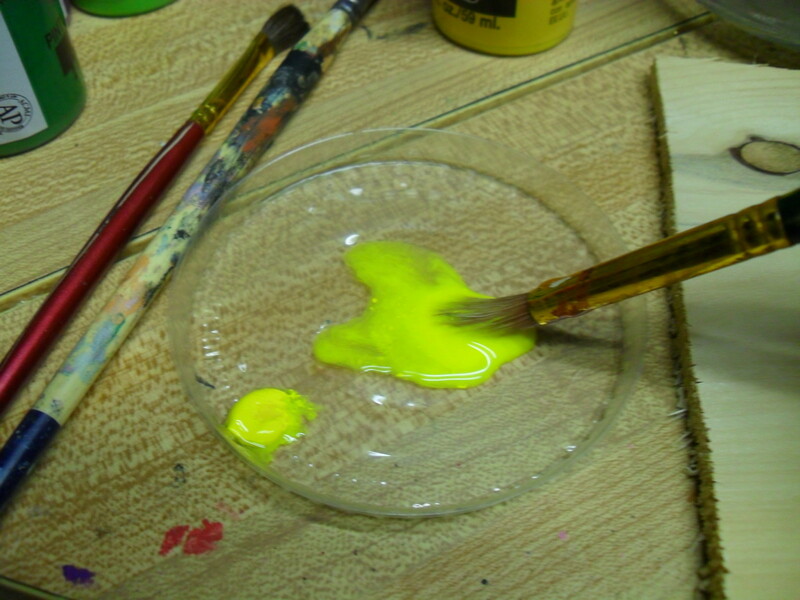 Colors can be mixed directly in the paint tray. 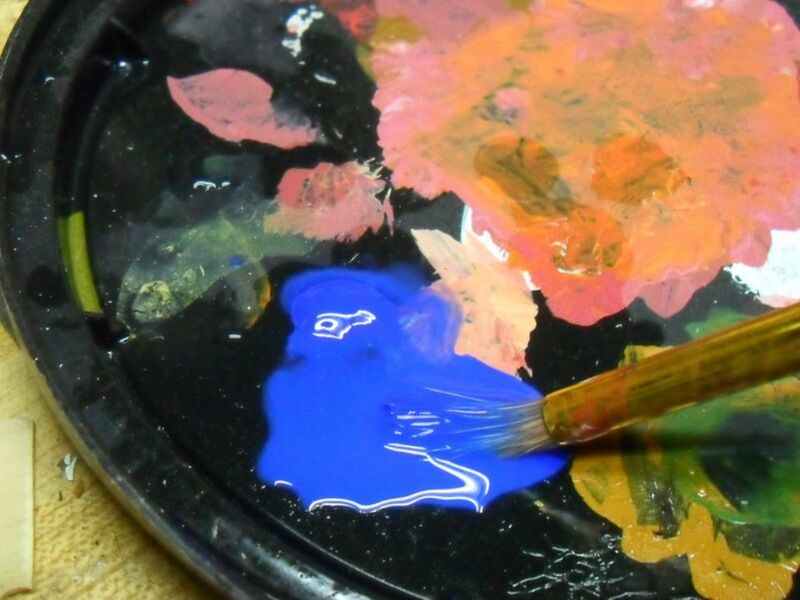 This is a good way to conserve on paint if you understand color mixing and the basics of a color wheel. Yellow and red make orange as shown in the photo. 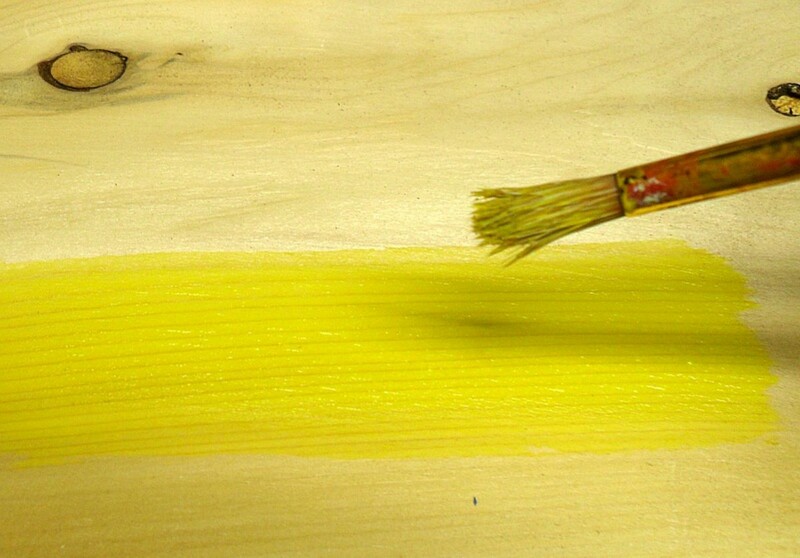 The same color can also be reached by first applying a wash of yellow and then adding a wash of red across the top of the yellow. See how that came to be in the photo. This can be done for all basic color mixing. It can be done in the tray or on the actual piece of wood. Note by looking very close at the photos. All of the colors were added at about the same time. This meant all of the colors were wet or at least damp. See how the color stains bleed into each other when they are wet? This will not happen if the stain is completely dry before adding a second color. Now it might be that you want the colors to bleed and that is fine. It is up to your discretion. It might be that you prefer to have control of the color stain and want to place it in exact locations on your project. If that is the case, make sure the stain is dry. The air from the blow dryer can move the color stain if it has not completely absorbed into the wood. Make sure there are no puddles on your work before you start blowing on it with a hair dryer. You can add wonderful flare with this basic technique. 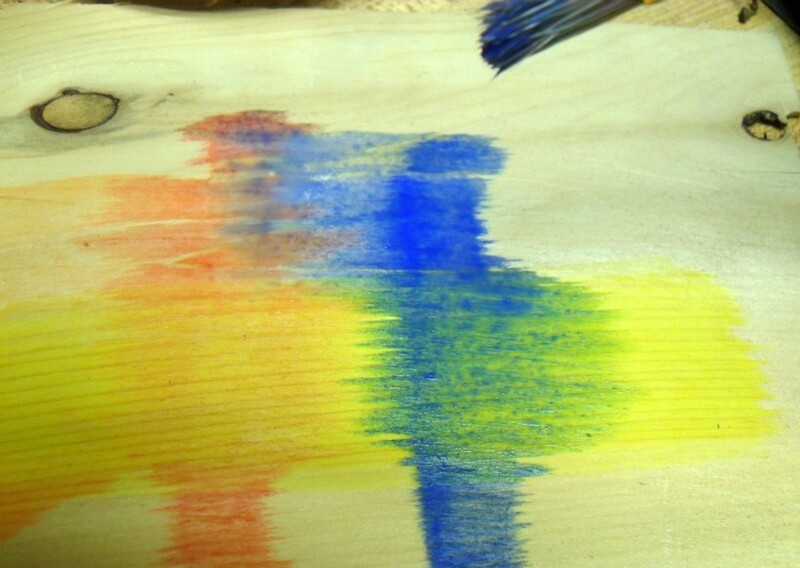 With a bit of practice, you can blend and mix colors on wood and allow the wood grain to show through with great satisfaction for the end result. Different woods have different grains. Some wood is harder to stain than others. 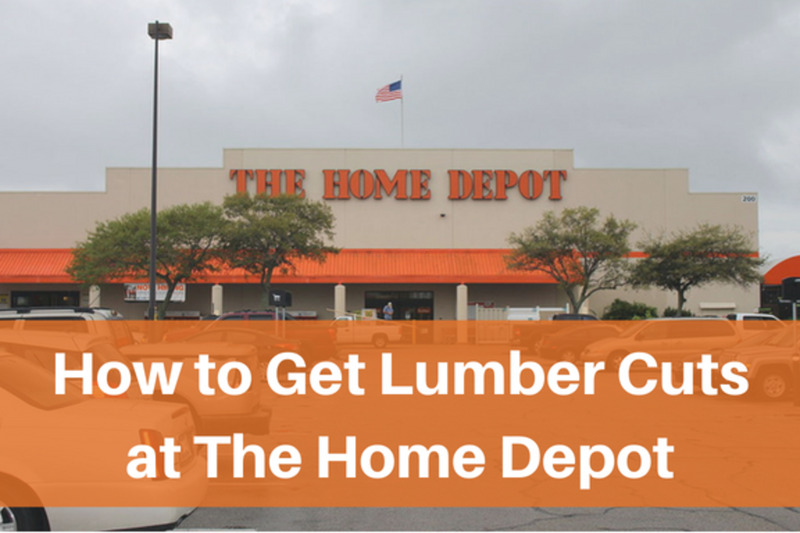 This is where practice makes perfect for your next color stained wood project. Experiment and have fun crafting. yes all the information the better, never took it as a negative, glad you commented! Thanx!!! Your welcome! By no means was I being critical of your article. I will be trying this with craft paint AND artist paint. I just posted that tidbit for all of your readers. The more informed they are the more ingenious experiments they are capapble of. 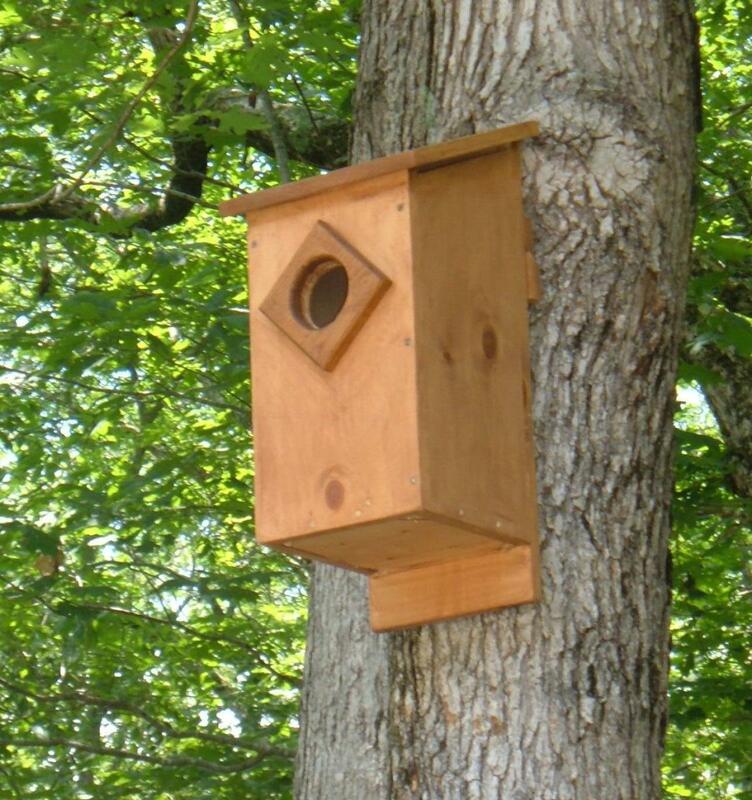 I am considering color staining wood! 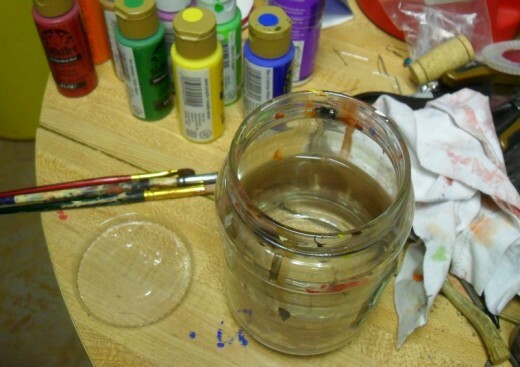 I have tons of acrylic paint lying around, but I might need to get Claudine Hellmuth's studio paints just for that project because it has less fillers, making the stains more translucent. I heard about them on YouTube and the Ranger website, but here's hoping that I can find them at Jo-ann! Otherwise, it's worthwhile to do with regular paints. Josh I have used metallic paints for this and you still get the glitter but the color is different. Yes there are better paints and you are right about that but for a weekend artist the craft paints work out okay with less money invested. Thanks for commenting and stopping in to read my write. I like this. Wonder how metallic craft paints will work?Did you know that the artist acrylic paints are more translucent that craft paints? Craft paints are good for many projects but the pigments have fillers and they are almost always opaque. Very nice article. I had tried this before on a project of mine and it turned out nice. I would like to suggest that the water may raise the grain abit but a light sanding with 220 or 320 grit sandpaper will bring it smooth again. 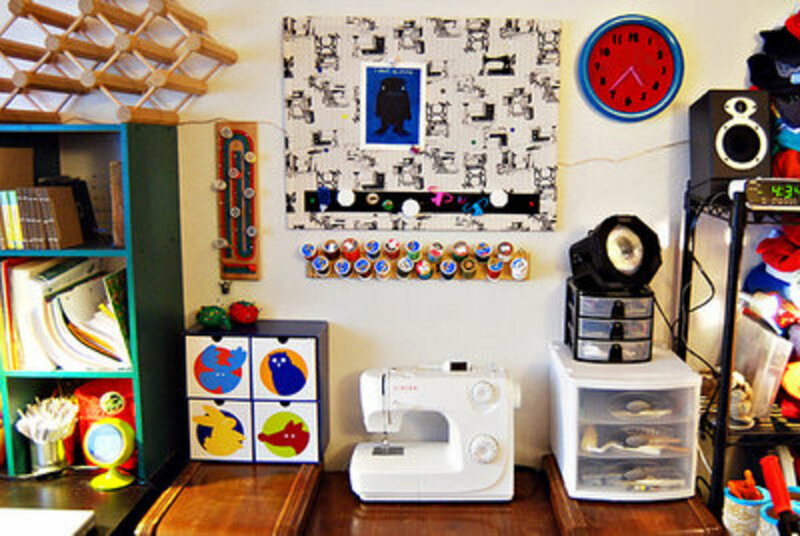 Really great hub - I love finding crafts like these that I can do with my cub scouts. Great photos and explanations! Thanks C.S. Alexis-guess I need to try some staining. I rarely use stains but I prefer the wipe on kind you rub into the wood with a soft cloth. Thanks for your informative well written hub. I do a lot of wood carving mainly West Coast First Firstnation's style.I need to learn lots more about painting and staining. Do you ever use wood stains? I am aiming for a semi translucent effect like I see on some first nations carvings. Great tutorial, really enjoyed it ! That was fascinating to read, Thank you. Helpful is what I hope for. Thanks for dropping in to read and leaving positive comments. Informative and useful. Great instructions and pictures. Rated up and useful. What a great hub...very informative, awesome photographs, thanks for the lesson, I love decorating, painting, and have decided that this spring I will be attempting to refinish some furniture! Take care!